My Partner and I Would Like to Purchase a Foreclosed Home, What are the Issues Involved? Buying a foreclosed home is a great way to get an excellent deal. The downside is that you may be buying more than you bargained for if the home has been sitting vacant for a long period of time. In most states, foreclosed homes are sold as is with no warranty. This means that you get what you see and will be responsible for any and all repairs that are needed. 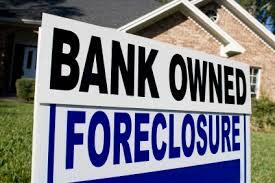 Following are some tips for those who would like to purchase a foreclosed home. If the home has been sitting empty, especially through a winter, the odds are that the utilities have been turned off and the home has been winterized. This means that the water is off, the traps have been filled with antifreeze, and the water lines may have been fully drained or pressurized with air so that the pipes do not freeze and burst. Generally, it would be best to hire a professional to dewinterize the home. When homes have been winterized and sit vacant for a long time, water seals can dry out or rot and will need to be replaced; the hot water tank will need to be filled with water before turning it on; flex lines may need to be reattached; and the traps will need to be cleaned out. If the power has been off for a long time, the electric company may require that you have a licensed electrician inspect the home’s electrical system to ensure that it is safe to turn the power on. That requirement varies depending on municipality rules. In addition, if you are not from the area, you may be required to pay a fee to the electric company. In addition to electrical issues, you will need to inspect the duct work if the home has a forced-air system and remove any dirt and debris that may have accumulated and install clean filters. If the system has a gas furnace, the utility company may not light the pilot until the maintenance has been completed. You may find that the home has broken pipes or that it leaks once the water is turned on. In the worst case scenario, a leak was present and never repaired resulting in rotted or moldy flooring and drywall. Replacing the flooring and the walls or controlling the mold problem can end up costing a lot of money, depending on the amount of damage that has occurred. If furnaces have been subjected to humidity for a long period of time, the exchangers can corrode and will need to be replaced. Depending on the system that is installed in the home, this could end up costing several thousand dollars. Home inspections generally cost several hundred dollars, but are well worth the cost. An inspection will reveal problems with the home in areas including the roof, foundation, electrical, heating, plumbing and water leakage. Once an inspection has been completed, you will have a good idea of the issues with the home and what will need to be done to repair the problems. The report will give you the opportunity to decide whether you want to move forward with the purchase or look for a different foreclosure. It should be noted that home inspections are not a requirement for the sale of a property in any state. As a general rule, most real estate agents do suggest that potential buyers have one completed before purchase, however, it is ultimately up to the buyer. When homeowners become aware that they will be losing their home, it is not unusual for them to give up on maintaining the home. This means that regular maintenance will most likely be needed, including clearing gutters and roofing of debris, cutting back overgrown vegetation and thoroughly cleaning the home both inside and out. You should also be on the look out for cobbled repairs where the owner did not want to spend money to have it done correctly. For example, using duct tape to repair a leaky pipe. If you are in the market to purchase a foreclosed home, you should hire a reputable LGBT real estate agent to assist you with the process. He or she will know what problems to look for with a foreclosed home and can refer you to a reputable home inspector. To find an agent in your area, simply conduct a search on GayRealEstate.com. Buying a timeshare in a gay hot spot is a sensible economical solution for LGBT snowbirds that want to go somewhere warm for the winter. There are many wonderful time shares in the United States that are located in gay and lesbian friendly resort communities such as Sedona, Long Beach, West Hollywood, Fort Lauderdale, South Beach, Province Town – just to name a few! First off it is a good idea to travel to the vacation resort and check it out before you. You should never buy a timeshare based on a graphic illustration in a brochure or magazine. The good news is that many vacation resorts offer free or inexpensive overnight stays so you can check the place out. Most time-share resorts will ask that you attend a sales presentation but you do not have to if you can assure them that you are a serious buyer. Keep in mind that when it comes to knowing the most possible about a property, sitting in on a sales presentation can be a good thing because you will be offered a great deal of information. When buying a timeshare keep in mind that one day you might want to sell it. Try to buy in a high demand area that is a LGBT vacation hotspot like the coast of California or Florida. It is also a good idea to buy a timeshare with slots available in Prime Season. Timeshares are also notorious for having hidden inflationary fees. Be sure to get real guidance and advice before you buy and be sure that you can afford the maintenance fee. It is very common for maintenance fees to be increased as much as 4% every year so try to buy one that has a reasonable cap. The more affordable timeshares might be the ones that are bought from a reseller. A brand new timeshare that is bought from a retailer might be fifty to ninety percent more expensive than the time share that has been on the market more than once. The Internet, newspapers and travel magazines are good sources of information about where to find timeshares for sale in the United States. If you do buy from a retailer try to buy from a large and reputable company that is known to be LGBT friendly. Check out the reputation of the owner and be sure to get testimonials about the place from people who live there while you are on your investigative trip to the place. Another reason that you want to try and buy from a bigger company is because it will be easier to trade or exchange your timeshare if you have more options to choose from. A sign that you are buying from a great timeshare company is if it provides owners with a color-coded catalogue of timeshares that need to be traded every season. Make sure you are buying from a licensed LGBT-friendly real estate broker who can hold your funds in escrow until the sale closes and that if you are buying a deeded (fixed week) property that you also obtain Title Insurance. As you would with any kind of real estate transaction make sure that your understanding of the way the timeshare works is the same as the sellers and the both of you agree on all of the terms and conditions of the timeshare contract. President Obama spoke Tuesday about how far housing has come from its pit in the middle of the crisis. The latest housing scorecard from the Obama Administration only strengthened the presidents statements, yet serves as a reminder that there is still a long ways to go. As the July housing scorecard indicates, the Obama Administration’s efforts to speed the housing recovery are continuing to build upon the progress that has been made over the last four years, said U.S. Department of Housing and Urban Development Deputy Assistant Secretary for Economic Affairs Kurt Usowski. Home prices continue to trudge forward, with the S&P Case-Shiller home price index up from 152.4 in April to 156.1 in the latest report in May. Year-over-year the index is up from 139.2 in May 2012. As rising mortgage rates begin to catch up with the housing recovery, less buyers are feeling the pressure to buy a home right now. According to the National Association of Realtors, existing-home sales fell from a revised 428,300 in May to 423,300 in June. However, homebuilders can breath a sigh of relief, as new home sales continued to increase, up from 38,300 in May to 41,400 in June, according to data from the U.S. Census Bureau and HUD. The pool of existing-homes for sale has continued to grow, a positive sign for potential buyers, with inventory up from a 5.0-month supply in May to a 5.2-month supply in June, NAR reported. Surprisingly, the supply of new homes for sale dropped slightly to 3.9 months, down from 4.2 months in May. Foreclosure starts take the cake for the most notable change in this month’s housing scorecard. Foreclosure starts dropped from 72,700 in May to 57,300 in June, data from RealtyTrac revealed. According to a report from Lender Processing Services, mortgage delinquency rates for prime borrowers made a turnaround, heading upward from May. June’s delinquency rate was 3.5%, up from 3.1% in May. The annual home price increases over the last several months remain at levels not seen since 2006 and newly initiated foreclosures are at their lowest level since December 2005. As we regain stability in our housing markets, it is time to begin the process of reforming the housing finance system to reduce the federal government footprint and ensure that private capital takes a sustainable central role, Usowski added. Fears over a large overhang of potential foreclosures that could threaten the housing recovery have failed to materialize — and aren’t likely to do so — according to the Mortgage Bankers Association. The median price of single-family homes nationwide increased 12.2% in the second quarter when compared with the year-earlier period. It also rose 11.3% from the first quarter. Completed foreclosures rose 2.5 percent in June from May, CoreLogic reported Tuesday. Its report follows another recent one from Lending Processing Services that showed nearly a 10 percent rise in the national delinquency rate in June compared to May. About 1 million homes are in the foreclosure inventory as of June, CoreLogic reports. That does mark a 28 percent decrease in the foreclosure inventory compared to last year. Forty-nine states reported a year-over-year decline in foreclosure rates in June. “The housing market is clearly on the mend, but we expect the ultimate conclusion of the present housing down cycle to be another several years away,” says Anand Nallathambi, president and CEO of CoreLogic. Lenders took title to 4,203 single-family properties at foreclosure auctions in Phoenix back in 2009. Fast forward to June 2013, and that number has plummeted to 278. There are still advertisements saying thousands of lender-owned properties are going to flood the market, just not the Greater Phoenix market. Sure, there was a flood of cheap properties at one point in time, but that time has passed. Four years ago, in 2009, 86,315 single-family properties in Greater Phoenix went into the foreclosure process leading to a property dumping. In the first six months of 2013, only 8,776 properties went into foreclosure. Although the distressed property market will be with Greater Phoenix for a while, it will be very mild in comparison to where the sand state was. A report put together by Fletcher Wilcox, a real estate analyst at Grand Canyon Title Agency, compares seven distressed property categories for the last five years, for the month of June as well as quarterly since 2009. Rising home values and improving job numbers have pushed all seven distressed categories down. In June 2013, the median single-family sales price was $205,000, compared to $164,000 in June 2012. This represents a 25% annual increase. In May 2013, Greater Phoenix reported 95,900 more non-farm jobs than two years prior in May 2010. Early on in the real estate recession, Greater Phoenix made it through the foreclosure mess quicker than many states did as Arizona allows for a non-judicial process as opposed to a judicial process, which typically takes longer to complete a foreclosure. According to Fletcher, back in 2007 there were only six single-family homes in Greater Phoenix that sold for less than $50,000. In 2009, that number has spiked to 7,724. However, once foreclosure notices started to slow, the number of lender-owned auctions followed suit, and home values started to pick back up. For now, however, it seems that the sand state has made quite the turnaround from four years ago. It will be interesting to see whether sales and home values will be affected as rates continue to rise. A Way to Stop Foreclosure Evictions? Boston Community Capital, a nonprofit helping low-income communities, is on a buying spree to clear the backlog of troubled mortgages and keep struggling home owners in their homes. During the last four years, the community development financial institution has purchased nearly 400 homes across the country that were in some stage of foreclosure through its Stabilizing Urban Neighborhoods program. It then resells the homes to the former occupants with new 30-year fixed-rate mortgages that are often 40 percent lower than the home owners’ original monthly mortgage payments. 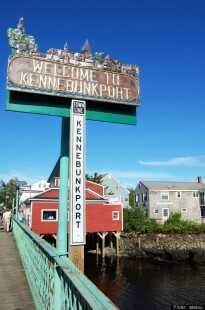 The nonprofit organization intends to purchase another 75 homes in Massachusetts and other states. It received a $25 million loan from East Boston Savings Banks this spring for its program. For home owners to participate in its program, Boston Community Capital requires that the monthly mortgage payments not exceed 38 percent of the borrower’s monthly income, and borrowers must come up with a $5,000 down payment. There are also closing costs, typically up to $8,000, as well as a $3,000 fee for the cost of the company buying the home. Boston Community Capital will use the home owner’s down payment to help cover those costs and roll over any remaining balance into the mortgage. Boston Community Capital says that it also establishes a reserve account for each home owner. The reserve account is about 1.5 percent of the home owner’s loan and is a fund for families to use in case of home repairs or a home owner’s sudden job loss. As of last week, borrowers had cashed nearly 2.9 million checks from a settlement paid out by 13 of the nation’s largest lenders for various foreclosure mistakes that had been made over the last few years. The Office of Comptroller of the Currency said that, so far, $2.5 billion worth of checks had been cleared but that’s still only about two-thirds of the $3.4 billion in checks issued to borrowers. Home owners who were in foreclosure in 2009 and 2010 and who had their loans serviced by one of the 13 lenders are eligible for compensation under the foreclosure agreement. The settlement amounts range from $300 to $125,000, depending on the circumstance behind the processing of the borrower’s foreclosure. Some borrowers lost their homes due to errors, while others faced financial losses from the process. Some of the first round of checks, mailed in April, were returned for insufficient funds. In May, The New York Times reported that a second round of nearly 100,000 checks were issued for the wrong amounts. The remaining borrowers will receive checks from the settlement later this summer, according to the Office of Comptroller of the Currency. Foreclosures are continuing a steady fall, as home prices rise and the housing market picks up nationwide.